Mold - ERA Test, LLC "The Air Experts"
Mold is everywhere. This living organism is amazingly successful at finding the right environment to thrive. The right conditions is all it needs to get a foothold in a home, and once it's there it's very difficult to get rid of. Once mold has found a good place to grow, it sends out tiny spores into the air. These spores are often invisible to the naked eye, but the human immune system certainly knows it's there. Molds produce allergens, irritants, and in some cases, mycotoxins. Many people will have an allergic reaction to mold. It can also irritate eyes, skin, and lungs of people sensitive to mold. Mold can also affect the structural integrity of buildings if left untreated. Are you concerned you may have mold in your home, office, vehicle or other structure? The first step in identifying a potential mold problem is the visual inspection. Throughout this phase, We will be looking for three things: evidence of moisture leakage or intrusion, direct evidence of mold growth, and areas with a potential for mold intrusion. 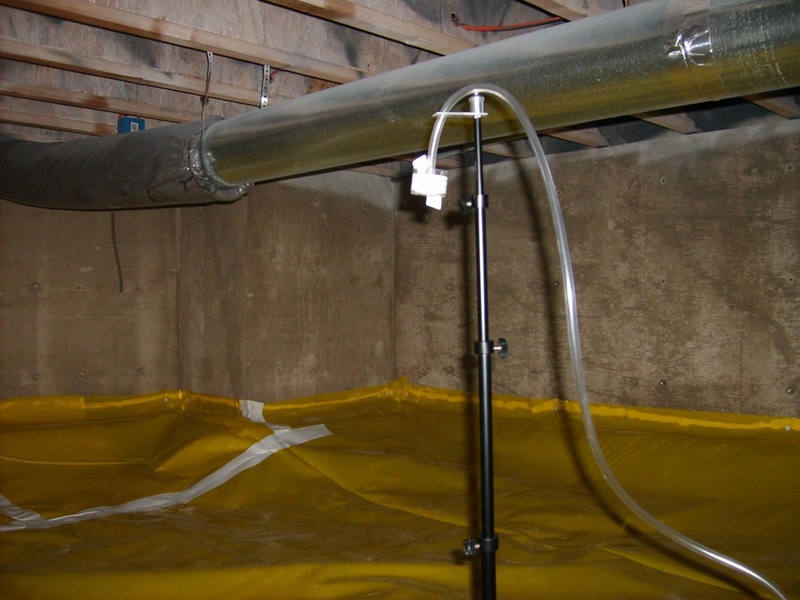 A visual inspection will cover the interior living space, basement, attic and crawl space or cellar. The exterior of the dwelling will also be examined for evidence of water damage or structural or environmental factors that may lead to moisture intrusion into the dwelling. Surface sampling is used to identify a mold type at a specific suspect location. This technique is also helpful in ruling out mold in areas where there is staining or otherwise exhibit mold like conditions. For this sampling technique a clear tape or swab sample will gather data. Material collected on the tape or swab will be analyzed with a fungi screen or culture. Air sampling is the most effective method for determining whether is present in a particular environment. ERA Test’s standard procedure incorporates the Aero-Cell cassette. Air quality is tested by drawing 15 cubic liters of air per minute and impacting the airborne particles over a glass substrate. This process runs from 1-5 minutes depending on variable conditions in the dwelling. 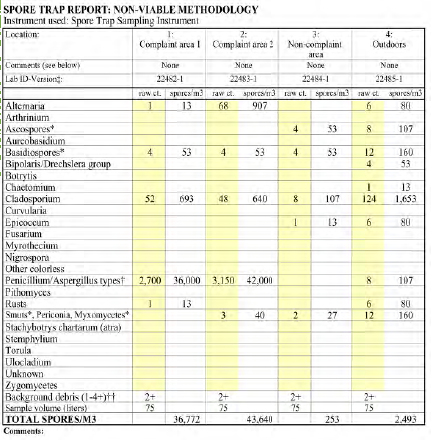 This sample is then sent to an IAQA certified lab where the spores are identified and counted. An outdoor “control” sample is also taken to determine a baseline “normal” to identify the level of molds in the natural environment and compare with the indoor sample. An IAQA certified lab will perform the testing for these procedures and will send us the results, which we will pass on to you, the client. The data we present to you will include such factors as type of mold present, how much mold is present, description of mold characteristics and concerns, comparison of mold found to “normal “ ambient levels of mold found in this area compared to what was found in the inspection, etc. We do much more than tell you “you have mold.” What we will determine is if there are levels beyond our natural environment. We will also help you determine what is causing the underlying moisture problem in the dwelling that is allowing the mold to flourish. You will be the one to decide what to about the mold situation once we make you aware of the results of the testing. 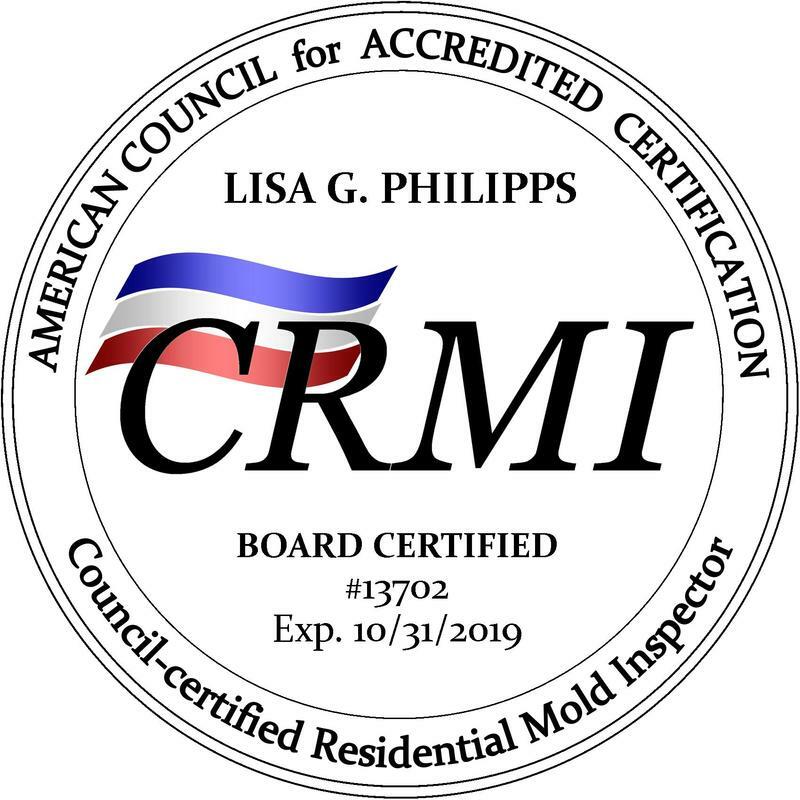 We are not in the mold remediation business as we feel that would be a conflict of interest. We can recommend different steps you can take ranging from a simple cleaning of the area with a detergent/anti-microbial solution for minor mold instances, to more intense treatments for larger or more severely affected areas.